NLBMe Management - For Sale! After establishing NLBMe Management, I set up an accompanying online "store", where I will sell some of the music I have created myself and other music of bands that caught my eye in some way or was made by bands that earned my support any way. Note: the store is just a list of stuff; there's no online shopping cart or something like that. Always send an e-mail to info@nlbme.nl with your order, postal address, and preferred method of payment (bank, paypal, cash). I will get back to you as soon as I can about details, the exact price (when ordering different items at the same time), and payment. I cannot guarantee sending material the very next day - I am not that professional and do have a regular daytime job to go to! NLBMe doesn't pay for the house, as you might have guessed! Since Paypal has a policy to subtract additional costs from every payment you make (35 eurocents + 3.4% of the amount), I have to charge you for that as well. No profit is okay, but I prefer not to lose money when people order items. If you want to trade an encyclopedia for your own band's music, just ask in an e-mail! The online order of a single encyclopedia at NLBMe will cost you only 2 euro's per book. The price, however, is dictated by the postage, which made me lower the price of the item in the first place. I am not making profit on them at all - but that's never been the goal! Postage 1 book = +3 euro. Postage 2-10 books = +5 euro. Postage 1 book = +6 euro. Postage 2-10 books = +10 euro. Really far away places: ask for the price. Additional costs 0 - 20 euro = +1 euro. Every other 20 euro's spent = +1 euro. Coldeemstorft brings old school, slightly dissonant black metal. It's Embernach's long time project with V Xul. In 2013 the band finally finished its debut, after nearly ten years of existence! In 2014 NLBMe found the time and energy to release it. Recorded on professional customised cassettes. Only two songs, but worth every second! Postage 1 demo = +2 euro. Postage more demos = ask! Postage 1 demo = +3 euro. 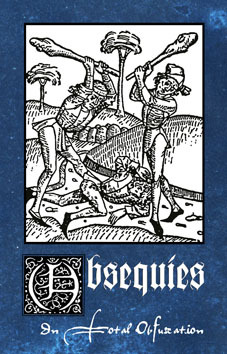 Obsequies' 1996 demo In Total Obfuscation is finally re-released to a wider audience in 2014. It's V Xul's old improvised black doom metal band; Abruptum meets Disembowelment meets Samael meets In The Woods..., but then with a healthy dose of that infamous 1990s amateurism during a one-take living room recording. This re-release of the 2003 Lanz demo is co-released with the Dutch label Zwaertgevegt, who is selling the main bulk of the tapes. A concept black metal album of Lanz-weirdness released in 66 copies, containing a 2013 bonus track! Heretic is still one of my favourite acts from the Dutch black metal scene. Ever since their debut Black Metal Holocaust, I have been a fan of this band's growing skills and reputation. This is the official tape-edition of the CD that has Heretic bringing their trademark black metal rock and roll hybrid. It's a limited release of 150 copies. The bulk is sold through Zwaertgevegt, just because that label has a bigger network, but I have some copies available as well. The debut CD of the Parents of Oude Pekela has finally found a home on the reliable independent label The Ritual Productions after NLBMe Management plugged this blasphemous creation left and right. The Parents of Oude Pekela has made a brutal album that is best described as 'bestial black metal'. It blends the cold sound of black metal with the extremity of extreme old school death metal, while keeping a sickening aura of a forbidden fruit. The CD is highly energetic, about 30 minutes of intensity, features three cover songs (Pungent Stench, Christfighter and Onslaught) and seventeen originals from the reformed one man band of musician The Blind Abyss of Uncreation. 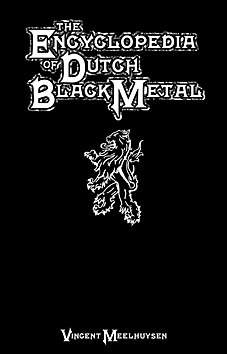 If you're into brutal black metal, don't hesitate! Postage 1 CD = +... euro. Postage more CD's = ask! Additional costs 0-20 euro = +1 euro. 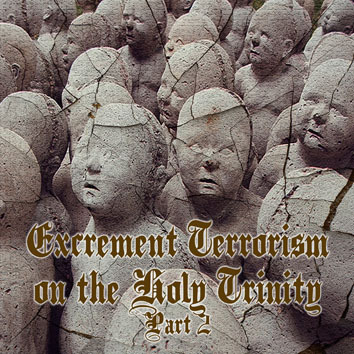 This is the second installment of the unholy triad of the most vile and extreme Dutch black metal bands, released by New Era Productions in 2013. The first part featured tracks by Domini Inferi and Botulistum. This time Lanz and The Parents of Oude Pekela are featured. The Lanz track is in the vein of Slik Mijn Zaad voor Satan from Incinerator. 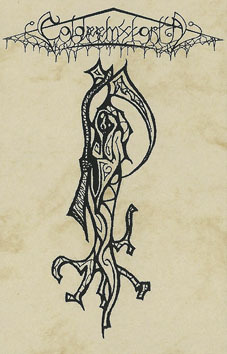 The B-side features the extremest form of black metal, only a few steps away from turning into black noise. There is a black vinyl edition (handnumbered) and a coloured vinyl edition (with your name instead of a number; they will not be sold without a name). Postage 1 single = + 4 euro. Postage more singles = ask! Postage 1 single = + 6 euro.